Those on poultry forums know the question: "If you had to pick one breed what would it be?" After 40 breeds in 4 years, and I can confidently say it would be these wonderful Basque hens (though Silver Grey Dorkings and Lavender D'Uccles are in the top 5!). In this article l will share my experience with these beautiful and rare Euskal Oiloa chickens. This breed is not in the Henderson's guide or the Stories book, as it is relatively new to North America. Most of the information on these chickens is in Spanish, and I haven taken it upon myself to translate it for the English-language reader. Some of the links provided are still in Spanish, but the Google translator tool helps. 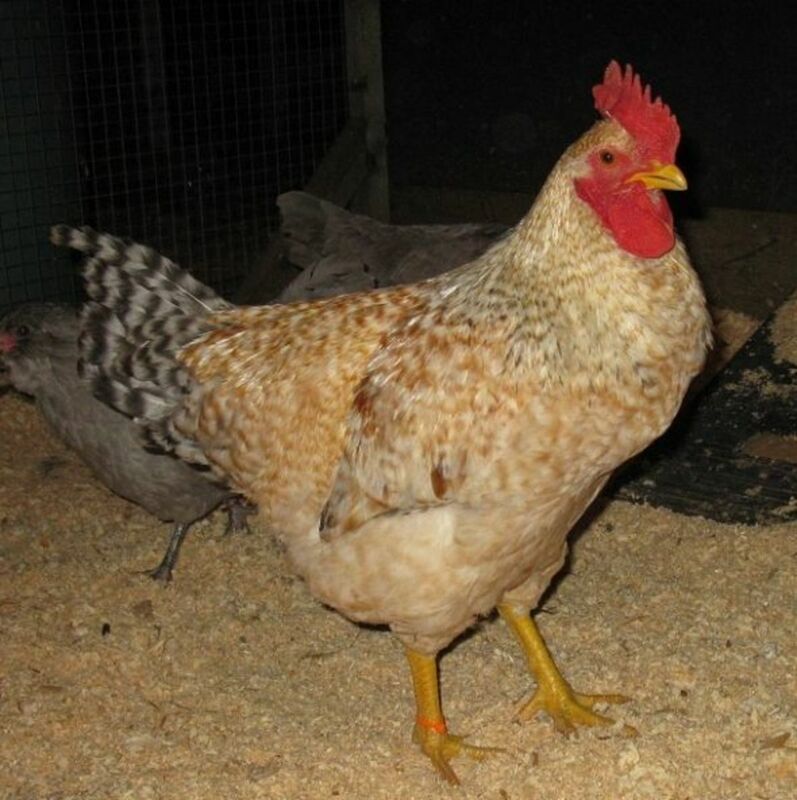 We were lucky enough to find the Euskal Oiloa in a list of rare breed chickens newly available in Canada in 2008. Being new to chickens, we ordered six to try, along with some Black Copper and Partridge Marans. From the start, the fat and fluffy, yellow and red chicks were friendly and hopped onto the side of the brooder for attention. 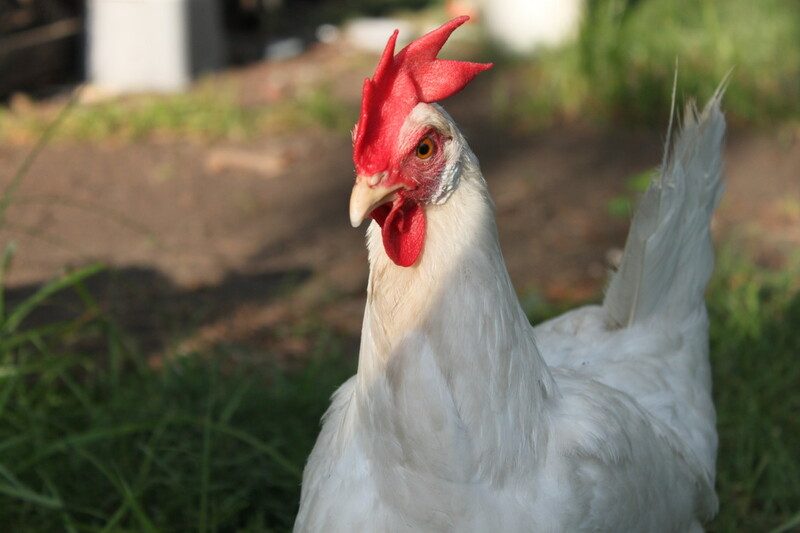 The Marans are long gone, but these pets remain. 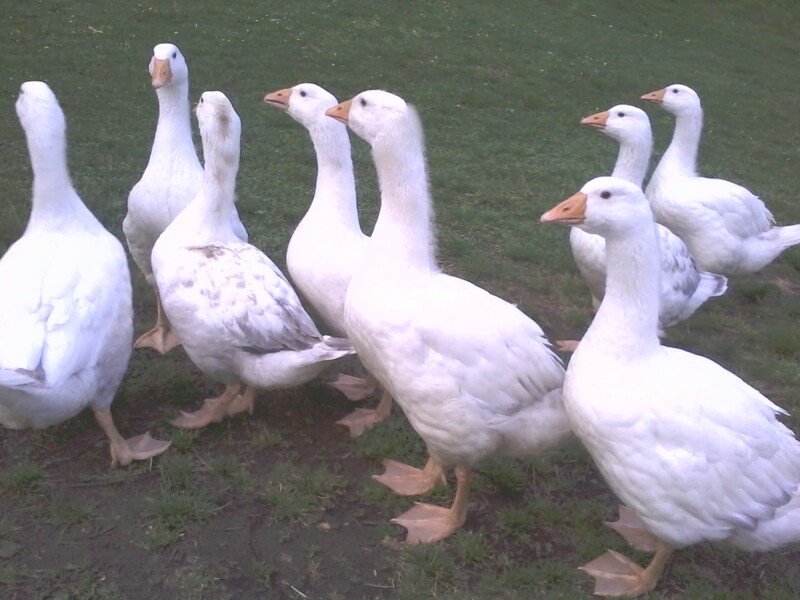 Euskal Oiloas are a great addition to any backyard flock and are an unusual colour unlike any other breed! We ordered an assorted group of 25 colourful chicks from Eric Rivard in Quebec, and received them in the mail. He shut down his rare breed hatchery that fall to retire, and, had we known about this in advance, we would have ordered 50 of these beauties. In total, we received six Euskal Oiloas (or Basque Hens in English). Friendly Euskal Oiloa Chicks in the brooder! The Euskal Oiloa have no fear of humans. We haven't had any aggressive birds, but they can act as though they are your equal and deserve attention. They will tame up without any treats at all. In a flock of mixed breeds, they tend to be assertive and higher in the pecking order. Basque hens are an outgoing and friendly breed that will approach you every time you go near them. Both males and females will sit on your knee as long as you will have them there. They will peck at your fingers, toes and your jewelry, being curious chickens. They will also pick snow or wood shavings off you clothing. At around six weeks old (like the chicks in the picture), they will lean on your hand and completely gravitate towards you. Some Euska Oiloa are more shy, most are not and will follow you around. Basque hens are those who will stand right at your feet while the other breeds stand back. The Basque Hens and pullets we have lay a surprisingly large egg for the size of the hen. The eggs grade at least as a Extra Large here in Canada. The size standard is 60-65 grams. That standard is for 180-220 eggs a year and most days, the birds lay a big brown egg. We have had one hen (Blondie) go broody here, but we couldn't let her sit due to the time of year. Hens will raise chicks, just not very often. 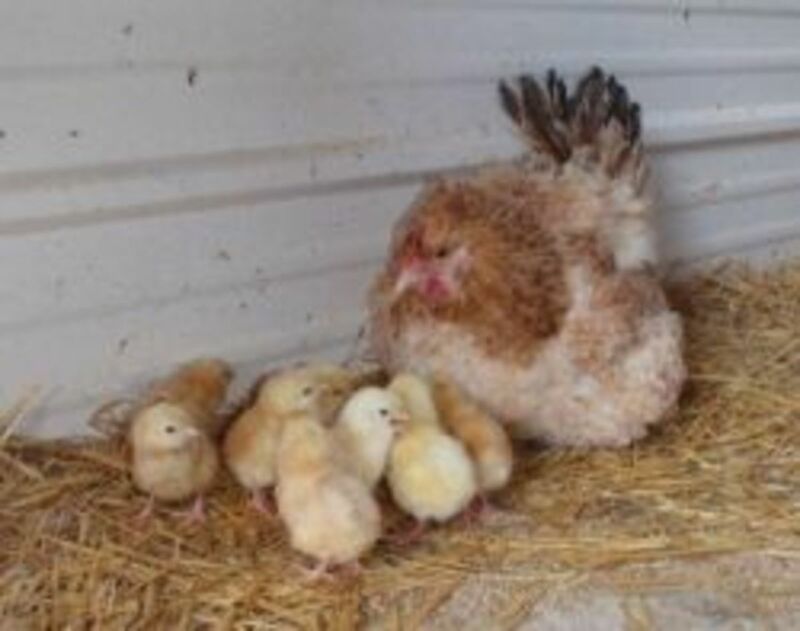 This pullet is in Manitoba, mothering her own brood of chicks, and another young pullet is setting at that same farm. She started to lay at four months old. The Euskal Oiloa are intelligent and can be greedy with treats. These Basque hens quickly come to know the rustle of a bread bag or the look of a bowl with scraps. They are not the greediest breed, but they certainly love baked goods and pancakes. They do not eat any more feed than any of our other breeds, despite the great egg production. The Basque hen is a great free ranging and foraging breed. They can move quickly and the roosters make polite and attentive guards. They do equally well in a smaller coop, though they will walk up and down the run where they can see you. Broody Euskal Oiloa pullet with her chicks. In five years of owning Basque hens we have had one go broody. One gentleman in Manitoba who we shipped fertile eggs to has had three hens go broody. One even raised a clutch of Black Penedesenca chicks in deep winter! This hen is just raising her own young now. Spring is here and another young pullet is sitting on eggs. The youngest pullet is six months old and had been laying eggs for two months. Basque chicken breeds come from a relatively recent selection process of typical Basque farmyard chickens. In the 1970s, the populations of Basque chickens were declining. Fernando Orozco and his team at the National Institute of Agrarian Research (INIA) researched and preserved the breed. The birds were selected and exhibited in different colors and different varieties. The study and repopulation continued into the 80s. A plan was made for the selection and improvement of the breed in the Agricultural Research Unit under the Department of Agriculture of the Basque government. In the early nineties, the breeding program ended with the introduction of four main varieties and a fifth naked neck version of the Gorria. In May 2000, an Euskal Oiloa breed standard was drafted. Since 2008, these chickens have been included as a protected race in the Ark of Taste of Slow Food and Slow Food International. The fifth variation is called Leposoila, naked neck version of the Gorria. 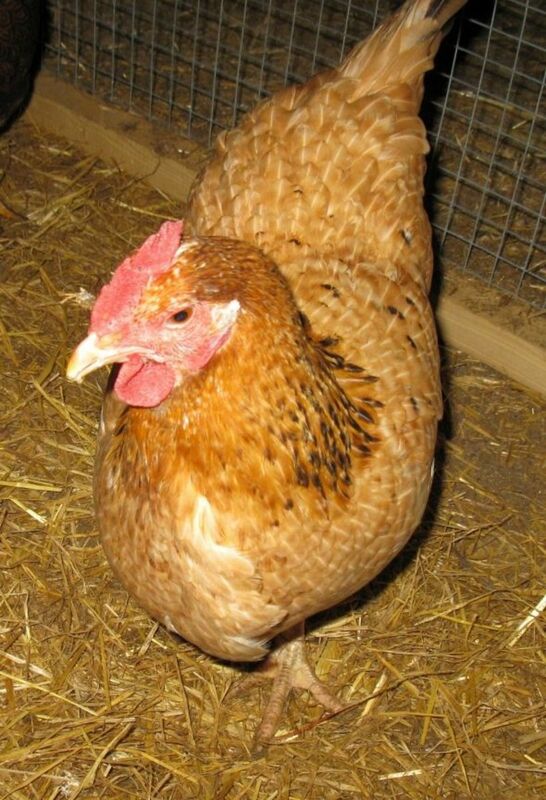 Basque hens genes are "Columbian" black restrictive, resulting in a very special plumage color. The color of the variety produced by the gene Marraduna Barred (B) is only found on the Cantabrian coast. Leposoila have a bright red gene effect called "Na. " Euskal Oilo show the morphological characteristics of the European Atlantic chicken. The chickens are a light heavyweight, simple-combed chicken. Their toes are yellow with reddish legs. They have red earlobes, a tight plumage and round feathers. This indicates a hardy vigorous breed which is suitable for the dual of purpose-meat and eggs. Roosters: about 3.6 kg (8 pounds). For more information, check out Bilbaoglocal. Black on the top of the beak is considered a minor defect in all but the black variety. It is a minor fault and notable in Marraduna and Silver varieties. Crooked toes are possible and although affect show ring performance, they say it does not affect reproduction, but we do not breed these. Here in Canada, we have noticed Penedesenca type tendencies. Clavell combs with side springs and blue legs can appear in offspring from our small gene pool. I understand these two breeds often range together in Spain. Face: Smooth and bright red. Comb: Simple, medium size, straight and firm. Presents five to seven well-defined teeth. Bright red. Wattles: Long, thin and smooth, with rounded lower edge. Bright red. Earlobes: Medium size, lying close to the face, smooth and lanceolate. Bright red. Beak: Strong, vigorous and well curved. In varieties Gorria, Zilarra Lepasoila the upper jaw is dark brown with corn yellow on the bottom and may have dark brown spots but only in the proximal part. In the Marraduna is entirely yellow, without spots, and the Beltza is black. Eye:Large and oval, with light brown iris. Neck: Moderately long, well sprung heavy cloak, floating on his back. Back: Broad and fall slightly toward the tail; saddle feathers abundant, medium length. Chest: Broad, deep and well rounded. Tail: Medium in size. Rectrices broad and overlapping, angled 45 degrees above horizontal. Sickles of medium length, well arched. Wings: Large, well-folded and tight to the body. Similar to the rooster except the beak is less curved. The wattles are shorter and rounder. The earlobes are smaller, but retaining the lanceolate shape. The chest is wide, but smaller than the rooster. The tail is rather small and slightly raised (35 Â°), with rectrices that are broad and overlapping. 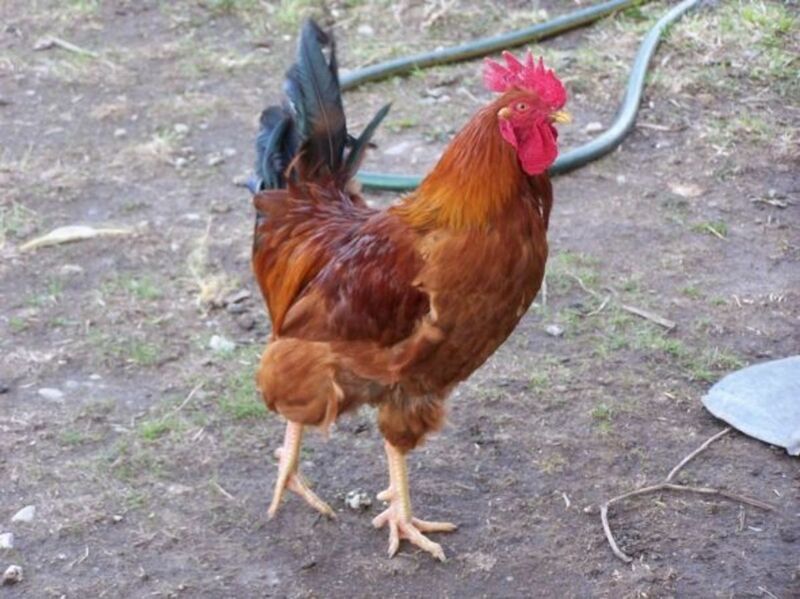 Their thighs and shanks are similar ton the rooster, but more feminine. Speckled Jim our Basque Rooster who is three years old. The plumage of this variety is mainly characterized by the presence of mixed white stripes with the colors described in the Gorria. 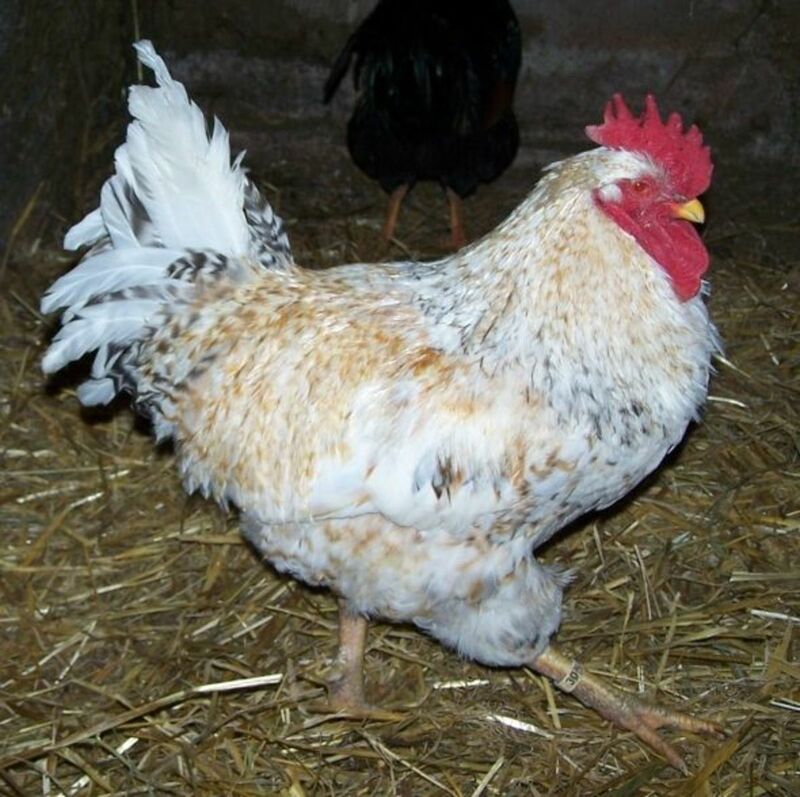 Our three year old Euskal oiloa rooster is a little light coloured and is a big, heavy and wide bird. Under colour is ivory. The Marraduna fade in the sun almost to white, and some of his white feathers are from sun fade, and the new more barred ones are coming in. He does have white feathers in the tail which we will be selecting against. Marraduna Euskal Oiloa day-olds are generally big, fluffy and yellow. Sometimes with a fuzzy black line on the head. We find that after about two weeks the cockerels combs will grow taller than the females, the wing feathers on both are grey and mottled and sexing is tricky before this. 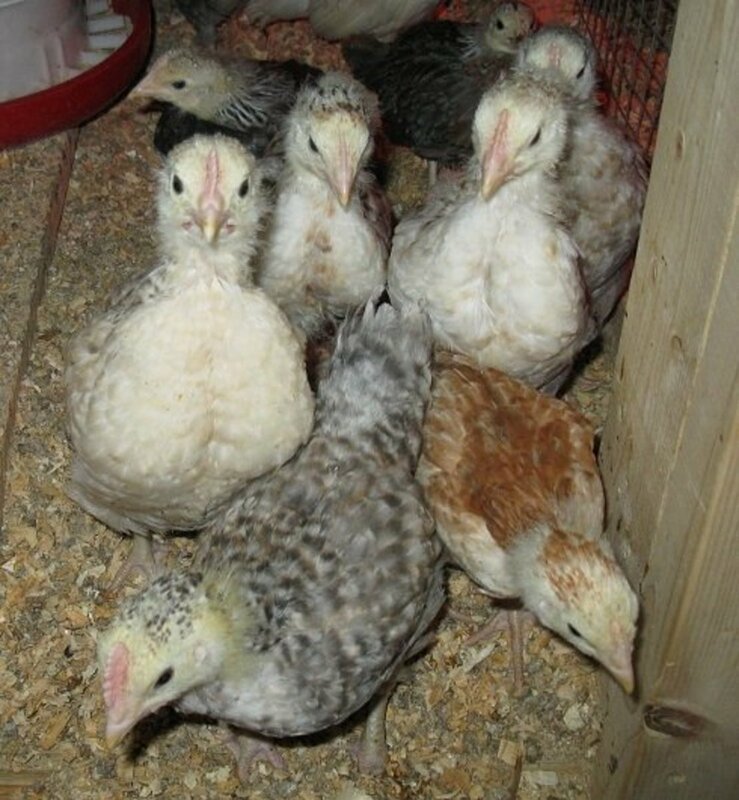 By four weeks, when the body feathers come in, the males will generally be lighter and more grey with a small amount of red and the pullet chicks more honey coloured with less white (see below picture). We have a few red/grey cuckoo type that we are leaving in the gene pool for now. Sexing started Basques 2008-10: Two male on left and centre, female on right. All about 4-5 weeks old. Sexing young Euskal Oiloas in 2012. 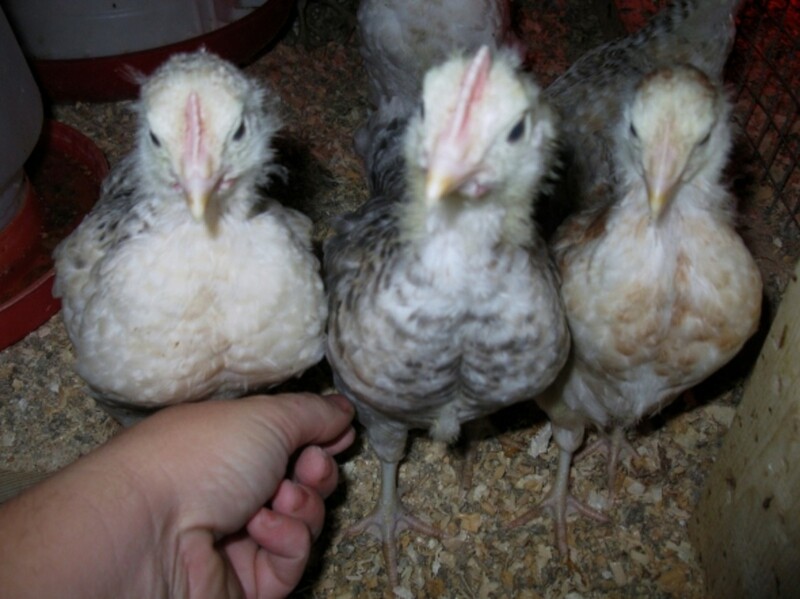 Two barred cockerels and a pullet. I wanted to leave the old pictures in, but there is much more brown on the cockerals nowadays, so the differences between are more subtle, except for the comb. The pullet is quite pale and ended up the same colour as her great great great grandmother Blondie in the introduction image, which is close to the Llodiana colour. If you are looking for a good dual purpose breed that is friendly, pretty and productive, these Euskal Oiloa may be the birds for you. I am not sure if they were selected for friendliness when these birds were being studied and standardized, but it is certainly possible. They are the friendliest breed we have ever had, and everyone who has them agrees. I am glad we have them and highly recommend them for any back yard flock. 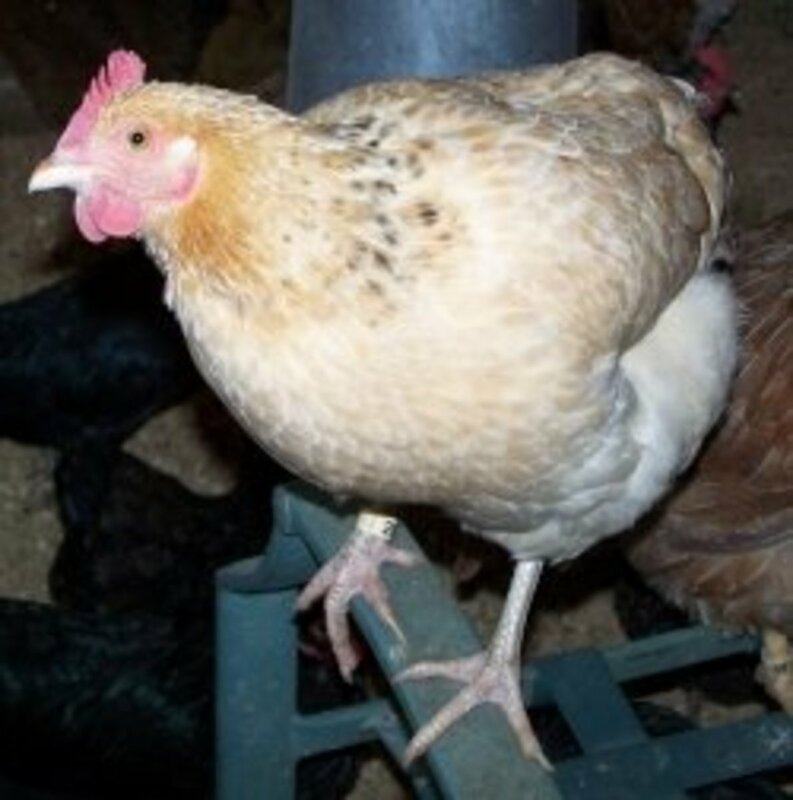 They are listed under Basque Hens on Feathersite. This is where I first saw a picture of Euskal Oiloa and decided on them! 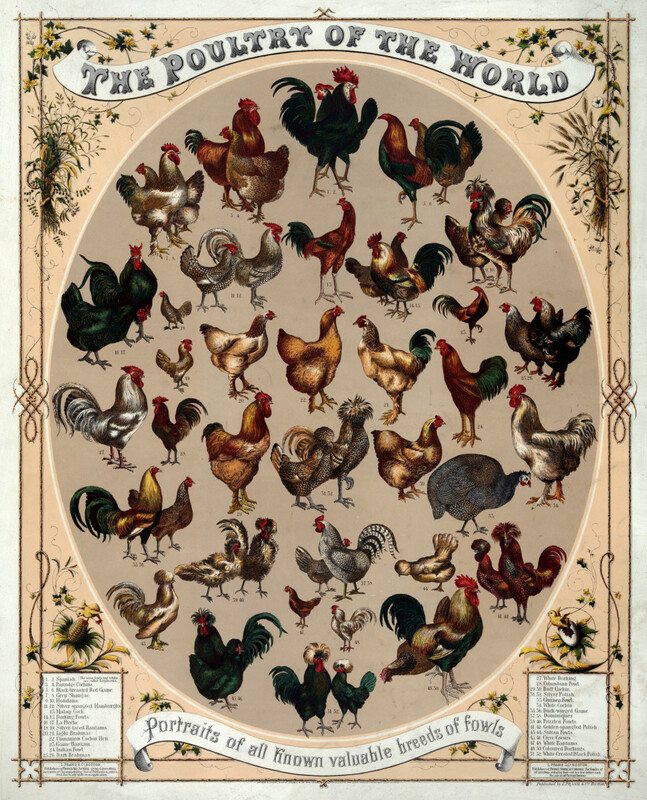 An excellent and accurate blog post about the history of the Basque region, the Euskal Oiloa chickens, their development and standards with references and great translations. Canadian forum thread with resources, links and discussion of Euskal Oiloas by owners of them and those seeking them. Spanish site with specific breed information and a short history of it's the development. Chicken Lovers and the Curious Check in here! - And don't forget to vote if your enjoyed our page! 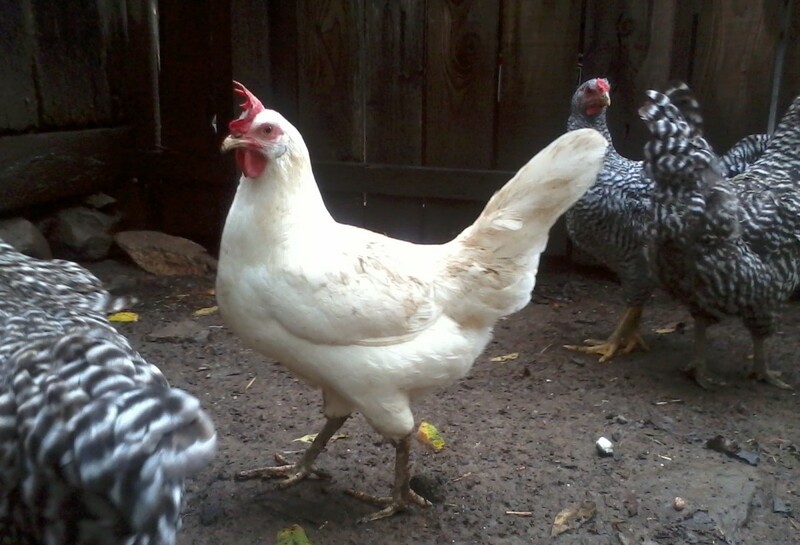 Picking up a Basque rooster today; young, friendly, told he was a Basque (never heard of the breed prior to this) and all white, told he's white recessive. 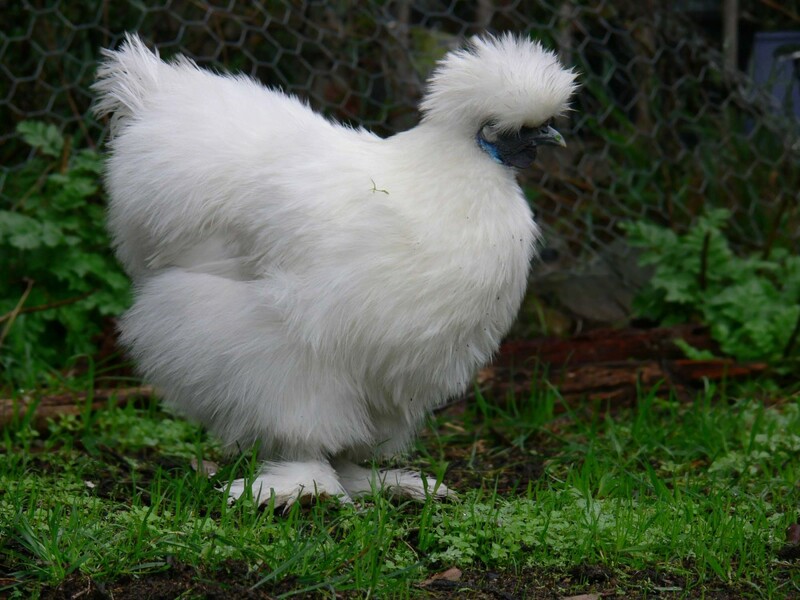 I am not breeding for show but am now very interested in this breed for its good qualities and would like to know if breeding with a white Basque rooster would produce nice, correct offspring or should I just look to him for my 'mutt' flock as a protector and purchase birds that better meet the standard for the breed? 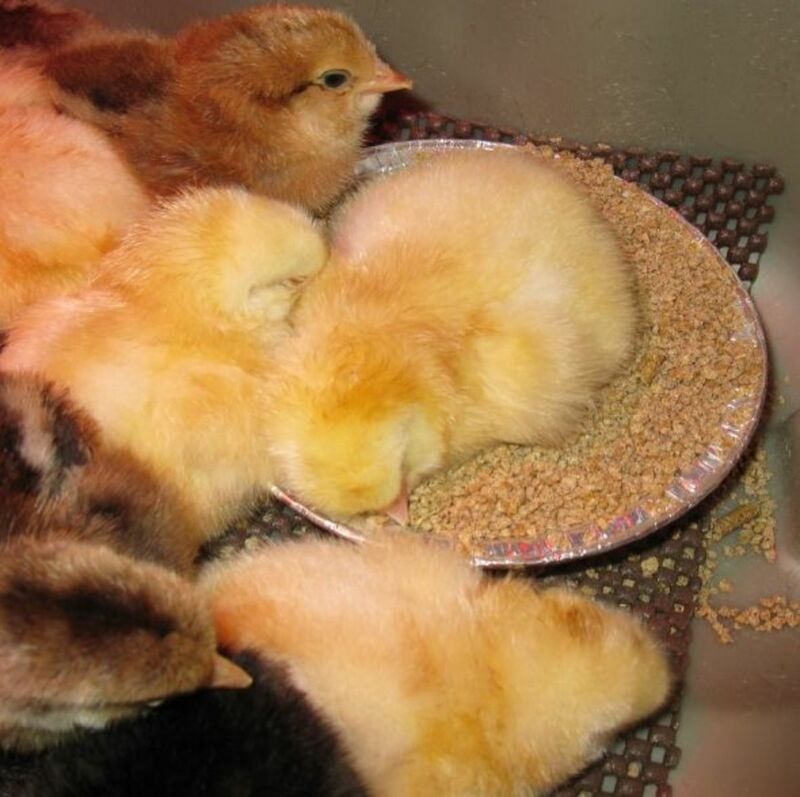 I would like to raise chicks that will be predictable to breed type if possible. @anonymous: Browner cockerels is due to better breeding as they get closer to the standard. They are awesome! @EdTecher: Thanks for visiting. All the Euskal oiloas in the USA came indirectly from my birds from eggs that I shipped within Canada! Which is an honor and it's cool to have made so much of an impact with them! They will sell like hotcakes at the hatchery as they are insanely friendly! Getting them soon. Thanks for the wealth of knowledge in your article. Can't believe they aren't more popular. Got mine out of Skyline Farms in Tennessee. They seem to be auto-sexing. 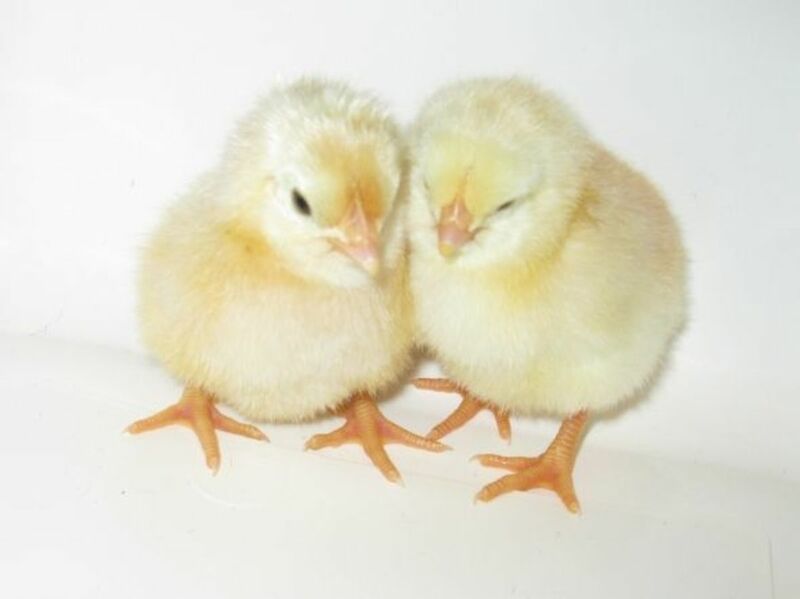 Male chicks whitish yellow and pullets reddish brown. Noted you say your cockerels are showing more brown now, making sexing iffier. Why are they getting browner? I plan on breeding my lighter cockerels to hopefully keep the distinction. Great birds overall. I used to take the new chickens into my hands at my grandma's courtyard - and I still buy free range eggs whenever I can! Great pics. Too tired to read, but loved the photos. I used to have chickens when my husband and I had a cattle ranch. I raised Cochins, just because I thought they were beautiful. I do miss fresh eggs! Hi Skeffling - thanks for sharing such a wealth of information about this breed. We looked after my cousin's two hens in Madrid for a couple of weeks in Madrid, while my cousin and his wife went on vacation (so glad he lives in spain :-) ) Not sure what breed they were, but they were very inquisitive and friendly. My cousin built a coup for them in the garden, but they a let out most of the time to rule the garden roost. Funny thing is they always jump onto the window ledge outside the room were I work on my computer and they just stand there for like 30 minutes or something, looking in, move their heads from side to side in the way that they do. They crack me up. They both started laying the very first eggs when we were there too, so we got to eat them :-) We are seriously thinking about getting our own hens for laying eggs now. Great lens! Thanks! Use to love going out and collecting the eggs, but now that we travel cannot have them nor beautiful birds anymore. But that was our choice. And still miss them though. 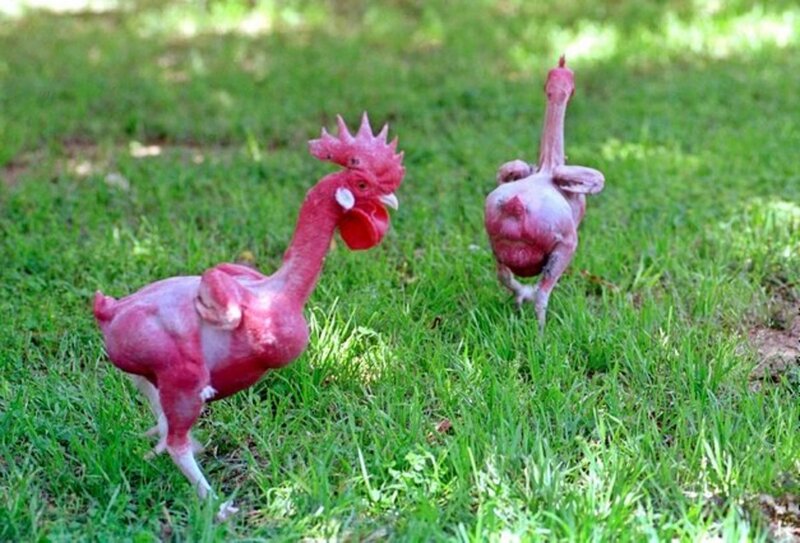 Oh no... Now I want another chicken breed. Love raising chickens. Especially love the delicious fresh eggs they provide for us. I don't know what breeds we have now: one is kind of yellow colored and the other is mostly black. If you had a poll for which tastes better, brown or white eggs, brown would definitely get my vote. Fantastic information! Thanks for sharing - blessed by a SquidAngel! How fun! Friends of mine have egg-layers. I wonder what kind they are - though I've seen them I have no idea. Not so beautiful as the colors here. Thank you for sharing! Good lens work. @earthybirthymum: They are awesome. They come running to your hand in the brooder. They are really nosy and friendly! @anonymous: I have three breeding groups separated right now. Would you prefer them shipped straight to Nfld or is the shipping exorbitant? If I ship to NS it's usually 3-4 business days, usually shipped on a Monday to arrive on a Wed to Fri and I'm pretty sure I can't ship on the weeks of 18th or 25th due to other commitments though and I think it would have to be earlier as I need them out of their breeding pens before then. I think i am the only one this far east in Canada shipping them, but Hackmatack Ridge Farm in NS (on the Euskaloiloas.com breeder page) may have them. 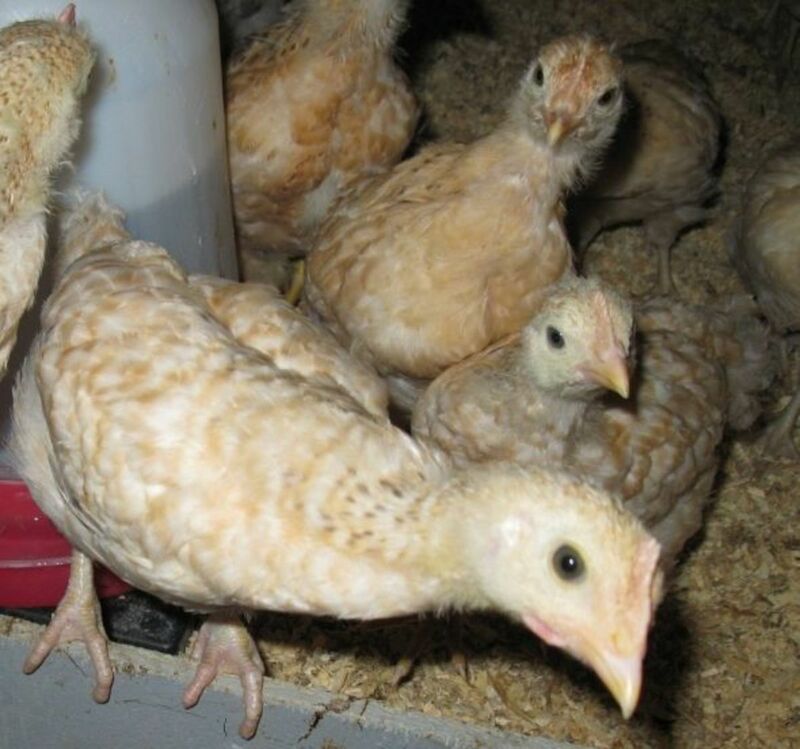 They are moving back to Ontario this year so will depend on whether the farm is sold yet, but pick up may be easier anyway with better hatch rate. We have a flock of Chanteclers that have been lots of fun. The kids would like to get some chicks, possibly a different breed as we have a smaller coup that could house 8 -10 The Euskal Oiloa sound great. I probably shouldn't get friendly chickens if I'm going to end up eating them! Love this Lens, and thanks for helping me complete my "Chicken or Egg Quest". Martha Stewart got me interested in Chickens she visited a show once and aired it on her show. enjoyed reading about your beautiful chickens, thanks for sharing! how interesting your lens is. @Diana Wenzel: That is great Renaissance Women. They really are remarkable. Everything you want in a homestead flock. If you want birds from Skyline (recommended) you may want to contact now as he has quite a wait list. Thanks for visiting. I'm all for friendly chickens. Thank you for introducing me to this marvelous breed. Hope to get some this spring. @sockii: Thanks for visiting. I am glad you enjoyed this. These are an exceptional breed. And such characters! Fabulous lens! I love learning about different types of chickens. nice lens. I like to your information about chicken. @oxfordian: Oh Thank you Oxfordian! How kind! Congratulations on Squidangelhood!! It suits you! Guess who just Angel Blessed your lens ... me! That's right; I just became a Squid Angel today and here's some fresh angel dust!! enjoyed your lens tonight, great and interesting topic to read about, thank you! Thanks for the most intense study of chickens that I have ever read. Too many duck eggs? An opportunity. Oriental markets and health food stores might want them, plus people who sell at farmers' markets. Try Craigslist too. @skefflingecho: I don't recommend ducks and prefer hens. Ducks are worse than goats. Some of our ducks, not the runners, flew away...can you believe it? I should have clipped them but I was new to it. Eventually we had so many 'huge' duck eggs that we could not even give them away and the neighbors ran for cover whenever we approached (in case we had more eggs for them lol). Anyhow, thank you for visiting my lenses. Appreciate it. @LeopoldBlatt: Thanks for stopping in! If we ever get ducks we want Indian Runners, they are so cute and not as messy as some waterfowl. The Euskal Oiloak are calmer than leghorns but probably don't lay as many eggs! Great lens. I have Indian Runners and Black Leghorns but these varieties you present are new to me. The photos are beautiful especially the day old one. @Leilani-m: Thanks so much for your kind words. You should send me a picture if there are pure heritage types, I may be able to help ID them. Chickens are great pet and provide breakfast too! If you want to message me we can exchange emails then you can send a picture or two! @waldenthreenet: Thanks for stopping by and commenting! WOW! Wonderful lens! THank you for posting! 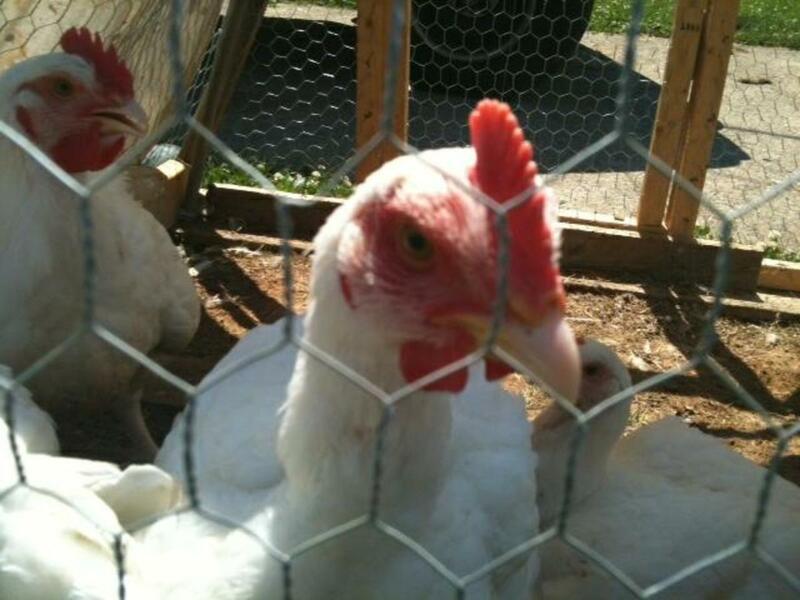 @juliannegentile: Genglo, thanks for dropping by, chickens are awesome but they really do deserve lots of space! Thanks for the tip too! I have a few friends who living with chickens, but I don't know much about them myself. Thanks for creating this really informative lens. I wish I lived in an area where I could live with Chickens. @anonymous: They are recognized in Spain but not by the APA in North America. I understand it is a long rigorous process to gain approval (5 years?) or so, the oldest birds in Canada are around 4 years old. We have a group of enthusiastic owners and breeders, but IMO it will be years before these are approved. There is a fair bit of variability in the birds as they are more of race not a breed, and we see many beautiful colours and markings. Anyone spending a fortune on these should be ready for the fact they generally will probably show a number of flaws, most common being white/willow and blue legs, white wing and tail feathers, a lot of black in the body barring and side sprigs/penedesenca clavell combs. At this time, they are vigorous, productive and awesome for pet value. I personally have given many fertile basque eggs in Canada this year for the price of shipping and have charged nominal fees for eggs in the past. I do this for 2 reasons, one is to share them and increase the population. Secondly anyone paying a lot may want to influence the breed standard to match their birds that they have heavily invested in, and I believe there is nothing wrong with the Basque standard as it is in Spain. Many of the people in Canada who own them are relatively new to chickens in the last 5 years and are enjoying them, while trying to do the best for the breed. The Euskal Oiloas Forum is the closest we have to an association, and we were just talking about setting up something more official last month for possible eventual APA proposal. We are no further for now as we are taking our time getting these closer to the standard while learning basic poultry genetics and which poultry genetics apply with these. I hope that answers your questions. Feel free to drop in the forum, we have about 50 members now and you'd be very welcome. We have many pictures of the population we have, at different ages, and "group effort" pic heavy selection threads. There are some nice individuals, but a huge variation still. Hope that helps! @goo2eyes lm: They are a lovely rich red aren't they? And very friendly! Thanks for stopping in! @AlisonMeacham: Thanks so much for visiting my lens and blessing it! I have read a breed standard or guideline. Are they recognized for show anywhere? If not, are steps being taken to make that happen? the brown rooster and the brown chicken look like our checkens back home in the philippines. My brother keeps chickens. I have no idea which breeds they are! Squid Angel Blessings to you for such an informative and helpful lens. Thanks for commenting. Skyline (In Tennessee) is the only breeder in USA shipping eggs right now, I am up in Canada, so no help! His site is listed here on the breeder page of the EO site, more will be added as we get them coming in. @anonymous: Eric. Thanks for stopping by. We have a lot to thank you for! I am trying to keep all the information together and will be setting up a web page soon! I am sure any of us with these beauties would be happy to send you eggs! @naturegirl7s: Thanks so much. I feel very blessed! :-) Thanks for your support! I have wheaten Ameraucanas that are friendly too, but these guys are awesome! I hope you can find some, if not message me and I'll try to help. I'm working on a website for these to keep all the info together! Oh, now you've gone and done it. I was going to get some more Ameraucanas, but now I want some Basque Hens and a rooster. Wonderful lens and blessed by the barnyard angel.